Before our seamstresses get to work on customising your item, we'd like you to know that monogramming may differ slightly to the image shown. As the item is personalised, we cannot accept cancellations, exchanges or refunds once your order has been submitted. Please allow 2 additional working days for the monogramming to take place - we promise we'll make it worth the wait. 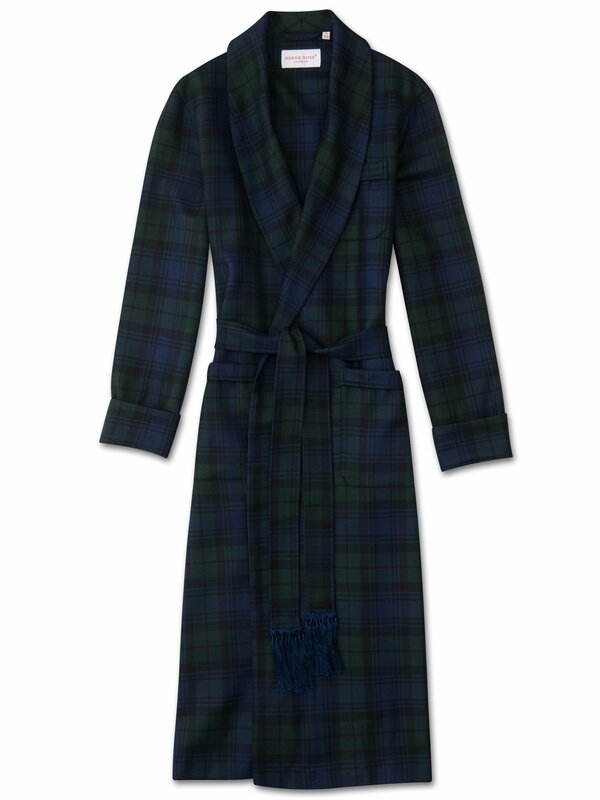 The Black Watch is a pure wool men's robe with a classic tartan check design: the colors of the Black Watch of the Royal Regiment of Scotland. Its rich, deep tones make for an elegant and timeless winter robe, and it is one of our bestselling designs. Made from a winter-weight grade of pure worsted wool, this is a perfect robe for cold evenings, and is best worn on top of a pair of our pajamas. We've chosen a grade of wool that is both warm and hard-wearing, meaning that this robe is an investment that will last many winters. 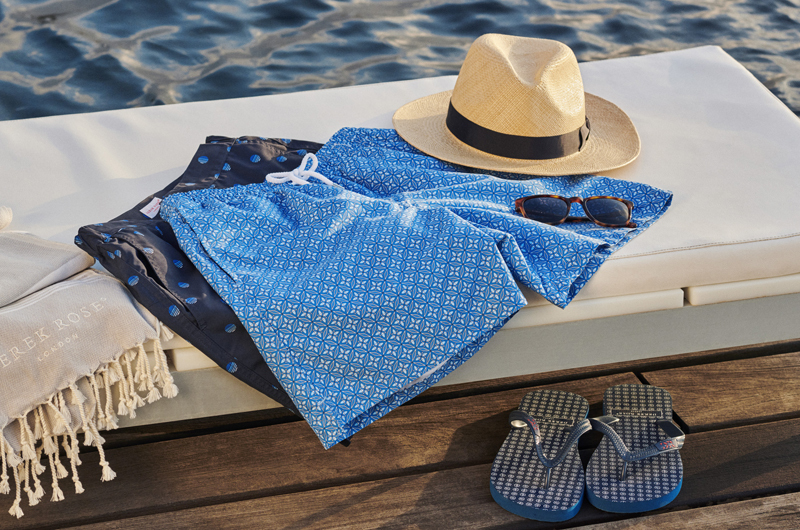 The Derek Rose robe features a classic, generous cut and length, for both elegance and comfort. At the heart of the garment is the fusion of comfortable ease with elegant minimalist tailoring. Generous fabric allowance allows freedom of movement, whilst a cleanly tailored unlined construction gives a sophisticated silhouette. Made to a specification first developed by Mr Derek Rose decades ago and refined over the years, the robe features a traditional shawl collar, rifle cuffs and breast and side pockets — and is finished with a classic tasselled belt. Finished length is 133cm from neck to base. In the image, model is 6'1" / 186cm tall with waist size 32 and chest size 39. He wears a size M.
Our customer services team can help. Please send an email to customerservices@derek-rose.com or telephone +44 (0)800 996 1995 for assistance with choosing your size. Telephone lines are open from 9am to 5pm BST, Monday to Thursday, and 9am to 3.30pm on Friday. Order this item and try it on in the comfort of your own home. If the fit is not right, you are of course welcome to return it for an exchange or refund. For detailed sizing information, please see our size guide.